We offer the higher end of the discount Polarized sunglasses market. Our Wholesale Polarized Sunglasses retail anywhere from $20 to $30 per piece depending on the store. That is a big profit margin considering our wholesale prices at $3-$4 per piece sold by the dozen. Expand your selection by adding Polarized Sunglasses to your product line and maximize your profits! Polarized Sunglasses There are 57 products. High quality Polarized X-Loop sunglasses! This style comes with adjustable nose pieces and light weight frame. The arms are camouflage print and in assorted colors as shown. What's better than a bamboo pair of shades? 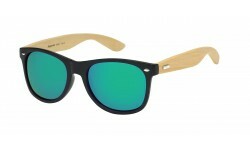 A Polarized lens bamboo version! 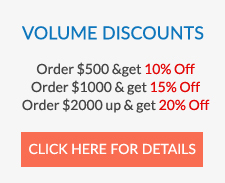 Order in bulk now and get up to 20% off and maximize profits. 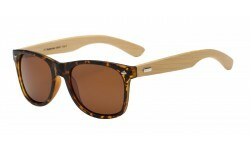 New Polarized Lens Bamboo Wayfarers! Top quality wholesale sunglasses from Sunrayzz! These elegant and sophiscated oval shape sunglasses as a metallic bar clamping on the side of the frame which hinges to its frame. The frame contains a flower accent design that would be a great hit to woman in a younger age market. 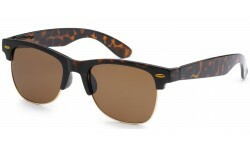 The style also comes in a polarized lenses for UV protection and an anti-glare properties. This classic looking polarized lens two toned crystal rounded frame will surely hook young women and women young at heart. As it comes from giselle a brand known for its trendy and fashionable sunglasses for women. Great to have in Summer or even spring. Get it while supplies last. 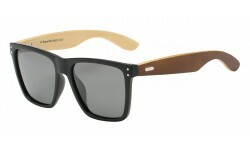 Don't miss out on the top selling wayfarer sunglasses style in the market, now in high margin real bamboo wood material! This item is sure to sell out quickly so order now while in stock. Back in Stock! This medium sized polarized style for women has been a popular frame for years. Order now before we sell out again! 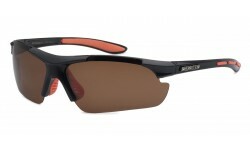 New Nitrogen Polarized Shades! You can count on this brand to deliver quality discount sunglasses. This style is a comfortable fitting sport wrap. Comes in assorted colors and sold by the dozen. New X-Loop Polarized shades for you to offer your customers! This is a more casual style from the X-Loop brand. 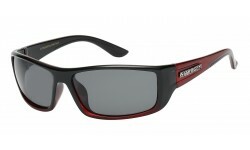 Comes in assorted colors and polarized lens to help cut the glare from the sun, water, and grass. Also perfect for driving to cut the reflection from the blue rays. Order now and get bulk pricing! Back in Stock! 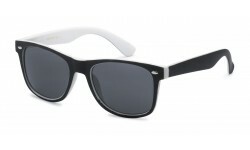 Polarized wayfarers have become very popular in recent days. Now we have them in two tone colors! Back in Stock! Ever popular Club Master styles. Get a load of this semi-rimless and polarized Club Master sunglasses, perfect for any customer who wants to enjoy some sunlight. New X-Loop lightweight in polarized lens. Excellent quality materials used for discount sunglasses. One of our most popular frames. For markets that want high quality polarized sunglasses. 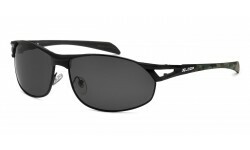 New rectangular shaped polarized aviator sunglasses from the XLoop brand! High quality materials used for these discount sunglasses sold in bulk. Order by the dozen.